The Super Bowl didn’t turn out like I had wished for this Peyton Manning fan but this recipe ALWAYS WILL! It originated from the Food Network Channel’s Money Saving Meals by Sandra Lee and it is always turns out perfectly. Her version has pickled onions but I generally prefer to serve mine with a crunchy vinegar slaw on top and a couple of kosher pickle slices. It is a great option for tailgates, family get-togethers, or to take to your former Farragut Middle School colleagues for lunch (they loved it!) I always make enough to have leftovers to freeze or use with other recipes like my famous Brunswick Stew! One major change I have made in this recipe is in the choice of the marmalade. I tried it that way and it was a little too sweet for my taste so now I use a Red Pepper Jelly and it truly makes the dish!makes the dish! Place the onions in the bottom of a 5-quart slow cooker. Place the pork shoulder, fat and skin side up. in the slow cooker. In a medium bowl stir together soy sauce, garlic, salt pepper and orange marmalade. Pour mixture over the pork. Cover and cook on low for 8 hours. Pull the pork out of the crockpot and break apart. Pour the leftover broth in the crockpot in a freezer safe bowl (This is a great addition to a soup stock later). Put the meat back in the crockpot along with a little of the broth to moisten. 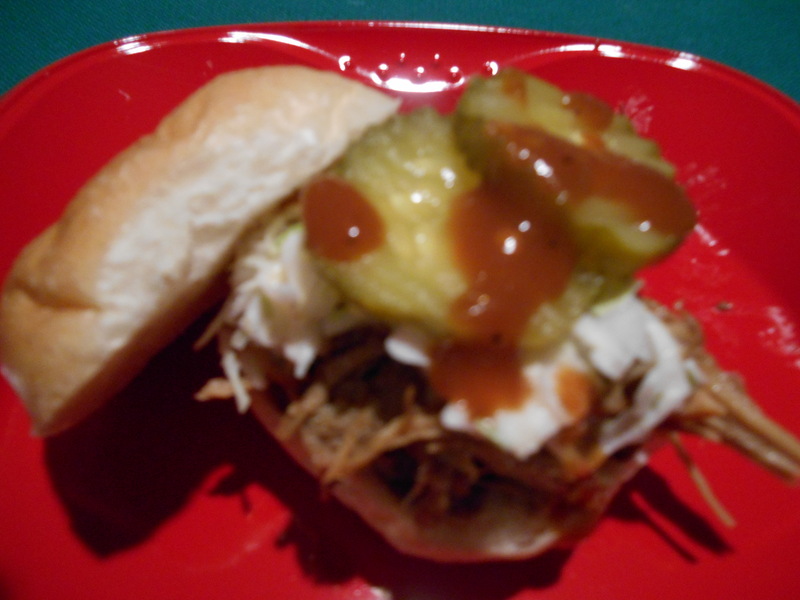 Serve on Slider Buns with the following recipe of Mustard BBQ Sauce and your choice of toppings! In a small saucepan over medium heat, whisk all the ingredients together. Cook for 5 minutes and remove from heat. ← Super Bowl Hot Wings with an Asian Twist! Happy Chinese New Year! Where do you get your red pepper jelly, do you make it? No, I bought it at Kroger…Fresh Market has it too! Join me Wednesday on Fox43 Morning Show at 8:20 am when I make the perfect dish for this Saturday’s Tennessee tailgate when the Vols take on the Gamecocks…. 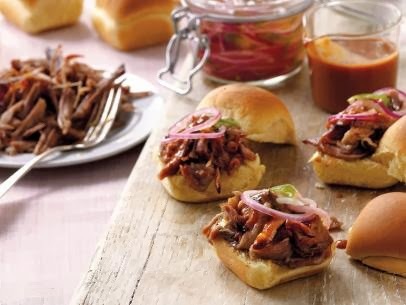 Pulled Pork Sliders with a Mustard BBQ Sauce! Here is last year’s blog on this incredible recipe!